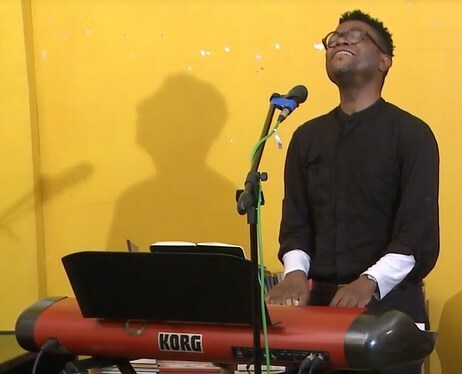 Day two of the PASS Pop-up in NYC opens with Chimurenga Library resident, poet and choreographer Harmony Holiday at 3pm. She presents words and sounds from her Astro/Afrosonics Archive, a collection of Jazz Poetics and audio culture. Next, more jazz as writer and researcher, Brent Hayes Edwards presents “The Two Ages of Artist House: Ornette Coleman on Prince Street.” Edwards’ books include The Practice of Diaspora (2003) and the forthcoming Epistrophies: Jazz and the Literary Imagination. His translation of Michel Leiris’s Phantom Africa will be published by Seagull Books in 2016. After that, artist and improvisor Nathaniel Donnett‘s “Malcolm X Remix” takes us into Neo Muyanga‘s “Revolting Songs: Black Music and the Aesthetics of Protest” Here, the Cape Town based composer and PASS co-founder continues his multi-focal exploration of protest music that spans from how protest songs played a key role in South Africa’s liberation to the role of liberation music in Egypt, Brazil and Uruguay. Finally, Triple Canopy, a magazine based in New York, present a performative reading of their new series, Passage of a Rumor, edited with Ralph Lemon, which considers how and why we talk about the value and potential acquisition of ephemeral works of art. Category: Pass Blog | Tags: Brent Hayes Edwards, Harmony Holiday, neo mu, Triple Canopy | Bookmark: permalink.